Bats in buildings and homes are quite common in and around Clearwater, Florida. Dusty Showers and Creepy Creatures Termite and Pest Control are experts in humane bat removal! When dealing with bats in buildings, many things can go wrong. Dusty Showers has been dealing with bats for over 30 years, more than just about anyone in entire Tampa Bay Area. In the mid 90’s Dusty Showers learned from the best in the field of bats. George and Cyndi Marks and Sarah Kern of the Florida Bat Conservancy along with William H. Kern of the University Of Florida took Dusty in under “their wings” to ensure that bat removal was done properly and humanely. “It was really an amazing experience. Back in the 90’s so few people were dealing with bat removal and of those, most guys didn’t know how to do it properly or did not care to do it properly. Cindy, George, Sarah and Bill shared their knowledge with me and I shared with them what I was seeing out in the field as a private operator. Bats require only a tiny opening to find a home in your home. Those openings can be 6′ off the ground or they can be 100′ high and anywhere in between. When doing a bat exclusion, you are creating a one-way door that allows the bats to leave but not re-enter. This will cause the bats to seek out a new home. It is important to preventatively seal any opening without bats living in them before doing a bat exclusion. DO NOT seal up any openings without first making sure there are no bats living inside. 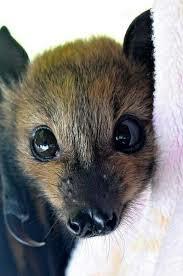 Many times, people do not care about the welfare of the bats and will regrettably do things either improperly or exclude them during the baby season. Some people feel just sealing the opening will solve the bat issue. When this occurs the bats will panic to get out. This causes them to move deeper into the home in search of a way out, increasing the chance of them finding their way into the home and increasing the chance of someone being bitten. If the bats still cannot escape, they will die inside, causing a horrible smell and a massive issue with flies and maggots. When a bat exclusion is done during the baby season (April 16-August 14) this will cause serious problems. Bats are mammals and as such, they nurse their young. When an exclusion is performed, it allows the mother bats to leave but they cannot access the roost again (because you installed a one-way door). This leaves the babies inside to starve to death. Depending on the age of the bats, they may be mature enough to move around seeking their mother, increasing the chance they will find their way inside the home and increasing the chance of a bit. Of course, if they do not find their way out, they will die and smell. This will bring in tons of flies and maggots. It is just easier to do it the correct way. Bats in apartment buildings can especially be tough when the bats are reported the last half of April. Many tenants will not accept the news when they are told they have to live with their bats until mid-August. Perhaps it is because many apartments are built with thin walls but odor issues seem to be a bigger problem with apartments. The baby season can cause heavy tension between tenant and management. This can cause some property managers to ignore professional advice and either hire unscrupulous bat “experts” or to just have their maintenance guys handle the job. This rarely turns out good and it can cause a bad situation to get worse. What was originally just a bad “Bat smell” has now turned into a rancid, rotting dead animal smell with hundreds of flies in the home and maggots crawling out from any opening they can find. Creepy Creatures Termite and Pest Control have worked miracles with tenant-manager relations conveying how the property owner is doing the right thing by waiting until after the baby season. What Kind Of Bats Live In Buildings In Florida? We have 13 native species of bats, however only evening bats (Nycticeius humeralis) and Brazilian free-tailed bats (Tadarida brasiliensis) will live in buildings. The bats are very similar, though the free-tail has a distinct odor and you can see the skin from it’s foot to tail does not go to the tail tip as it does with the evening bats. Both bats will readily live with each other. What are accidental species? 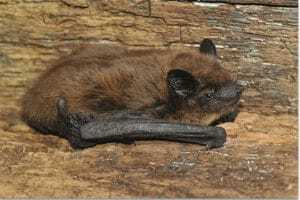 Species of bats that have been found in Florida on rare occasion, but are not permanently or seasonally living in Florida are referred to as accidental species. There are currently seven species of bats classified as accidental in Florida. In all cases only one or two specimens have ever been recorded. Northern Accidentals: Species that have arrived in Florida from the north are referred to as northern accidentals. Three species of bats fit this category. 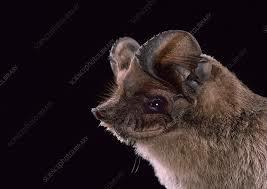 All three are of the family of bats called the Vespertilionidae. 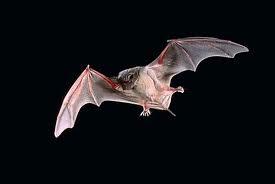 Of these the Indiana myotis and Northern long-eared bat have not been found in Florida in over fifty years. The few specimens found in north Florida in the 1950’s may have been left from an earlier population that no longer exists in Florida. Southern Accidentals: Species that have arrived in Florida from the south are referred to as southern accidentals. Four species of bats fit this category. All are of the family Phyllostomidae. In each case only one or two specimens have been recorded. To date, these species have only been found in the Florida Keys and south Miami. Get an expert opinion before dealing with bats-Call Dusty Showers!